mkava: The part is already in two pieces. The one shown lately is the top part only. But I could divide the top part to the duct section and fan holder section as you proposed for even better result. Good point. I believe this would help much more than thicker walls. I have very good experience with connecting ABS parts with acetone too. I also can confirm that part designer should try to avoid sharp corners. Especially then they should happen in the section of part which has low slopes. Sharp corners in the low slope area are unprintable with current slicers. Well if you re not willing to do everything very very slowly. I guess it could be printed if the corner itself is printed really very slowly. I attached a picture of the failed bottom part of the duct which did have a sharp corner in the low slope area. Notice that the corner is collapsed. You can see the same part redesigned without the sharp corners in my old posts. After filleting the corners it turned out pretty well. I think to get better results mathematical model of the FDM printer should be part of the slicers (for open loop) or the firmware (for closed loop). It is not like it is a new physics. It is just not a simple physics. That indicates that for machines with long belts (e.g. deltas) the belt stretching can be significant part of corner errors at high printing speeds. Depends on the stepper motor rotor inertia in comparison to the inertia of the rest of the printer moving parts. yep, a huge part. and it gets worse when, like the makerbots, your idler pulleys can move. 3d printing is just motion control with a filament extruder. motion control is a mature problem and the practical solution that people have come up with over the last 30 years is hand programming. sad but true. i personally think that's garbage and that all motion control can be done better faster etc. with smarter compilers; like vvp is saying, the physical parameters of the printer need to be given to the runtime and/or compiler. further, i would insist that a _lot_ more open loop feedback needs to happen. I see this on my large printer, I can't run the belts as tight, and with their length (2 meters each), and those long diagonals, it really can create issues. I have to dial down travel speeds, acceleration and deceleration quite a bit to keep it from causing problems, about 1/2 to 2/3rds the Rostock with it's 1.4m belts. I'm not saying the problem can't be solved, just not for the money most people are willing to spend on a printer. Particularly one with limited material. These companies are focused on mass market appeal to regular consumers, which frankly, I think it's a stupid idea. You can market these to geeks, tinkerers and makers, but to try pushing them into the average home is a complete joke. Regarding the belts: I think the Z axis accuracy is far more important when it comes to reliability and failed builds. X and Y will cause less exact parts, but inaccuracy in Z will cause delamination, pressing the head into the part and general failures to a larger degree imo. This is why I suggest that FDM printers should strive for a large build surface but limited Z axis. This of course also means that the rods have to be able to withstand the weight and not drop too much over its length but strengthening them is fairly easy. Is it using GT2 belts you mentioned in the past? Do they have glass fibre core? It looks like most GT2 belts sold use glass fibre core and most T2.5 belts use steel core. GT2 belt producer claims GT2 should has more precise belt-pulley meshing compared to T2.5. And also GT2 (with glass core) should last longer too. I can agree with them about these too. They recommend it for precise positioning. That maybe be OK but only for short belts (if we are talking bout GT2 with glass core). Glass core GT2 is not so good for deltas. From this point of view the reprap wiki page on belts is rather misleading by pushing GT2 heavily without even mentioning the problem of low modulus of glass core GT2. Looks like steel core is the way to go, maybe kevlar if the belts use the best one (DuPont Kevlar 149). It would also help to use wider belts than the common 6 mm width. Unfortunately, a large build surface on a Delta means a taller printer as well. The problem is also exaggerated on a Delta because everything is tied together, with lose belts, or too much stretch, the head can dip or snag a lifted edge and throw off the entire print. On big high speed Deltas, it can be a razors edge between too tight and not tight enough and the only way to soften edge is to slow the printer down. Yes, I'm using glass core GT2, cheap ones at that. Steel core, or even better, Kevlar due to moving mass, would be nice, but going to a larger belt tooth may not be a good option either, as pulley selection and precision isn't as good. Wider would be an option, except that once again, pulley selection is a problem. I may see about finding Kevlar GT2, that would be my preferred belt I think, otherwise, I'm going to try and track down some long Gates made GT2. Printing on support (i.e. a kind of a bridge) seems to work better. Still, I believe we need an option in cura to slow down first layer on support. I still do not know whether slic3r is better at this. It is important especially when the first layer on support has considerable area, i.e. it is not only a few mm of filament being laid down. It looks like corners of big prints peeling off from bed (before the print is finished) is not such a big problem when fan is slowly blowing at the part during the whole printing. This is all about ABS only. I did not even try PLA yet. So it looks like it was a good idea to mount the fan on. Even for ABS only. Hey, do you still need modelers for this stuff? I don't have any experience with 3D printing but 7+ years xp with hardsurface modeling so that should suffice with a little added intel on the constraints and whatnot. DO let me know. Just for the hell of it i made a little KeyCap, unfortunately i didn't have any proper measurements so i winged it..
regardless, more cad drawings and drafters are always welcome here!! in fact, the big thing i need right now is pieces of 3d printers skunkworks! why would you be angry at your printer, and what'r HIPs? i'm only at page 7 of this thread so far so not up to speed yet. are these by chance printable pieces? if you got some imagery and measurements..
btw what formats can you read / do you prefer your 3d dataSets in? what's the maximum floatingPoint precision you can handle? btw i know that my design is flawed since the stem-wall is too thick to sink into the mx switch but i don't have anything to accurately measure, nor have i found all the data i'd need. HIPs is a support material that dissolves in pine-sol (d-limonene). you can actually print a solid block that consists of the HIPs material completely encapsulating an ABS part (for support of the abs part) and then dissolve the HIPs material completely so that very complex shapes can be made in the ABS without having to worry about "printing on air"; without support material, one has to set up prints very carefully so that every line of extruded abs has abs below it to support it mechanically. STL files are the lowest common denominator for printing, but solidworks files or IGES/STEP files are quite welcome. technically, none of our printers actually have floating point units , but the slicers/gcode compilers can take as much floating point precision as you can provide when making the integer gcode instructions. aah that stuff, good to know.. if you were to print using HIPs, would that have to be included in the 3d model as-well or could your compiler take care of that? i've yet to play with the newer support renderer in makerware, but i think one can just make a solid block in solidworks and intersect it with the keycap model. the standard support functionality in the slicer tries to minimize the amount of support struts that are used, which provides less accuracy than just laying down a solid block. this is something i have to play with to get you a solid answer though, for sure. i have some models in the backlog. once the printer is going again, i will have much more to say about supports and slicing. i've been trying to work out a long-term plan for printing and then production at medium scale based on the printed rapid prototypes, and things are still very much in limbo. solidworks can read fbx, dae, 3ds, obj file formats, yes? the trick with the support block is that you need two separate objects so that the slicer knows what to print in HIPs and what to print in ABS. otherwise that support block looks quite excellent. also, boredom is just creativity waiting to happen!! so seperating them into 2 stl files (one for the support, one for the object) is fine? As for as what is printable on dirt cheap single extruder reprap FDM printers. Mkawa's printer is dual extruder so this does not apply to it. Rotate, position or split your parts so that whatever you do is well printable. It is easy to glue a part together from more pieces. No horizontal layer in air except the bridges mentioned below. Slicer needs to add support material if some part would be printed "in air". So you can do it with support material. The surface of the part which is printed directly on support will be rough with occasional significant errors (e.g 0.5 dip in the surface etc). This could be better if slicers would be more clever about printing on support and considered them more like bridges. Overhangs can be printed easily if the overhang angle (angle from vertical to the side of the part) is below 45°. Overhangs up to 70° can be done but they will not look good (rough surface, occasional burns). These are overhangs without support. Arbitrary big overhangs can be done with support. But then there is a pain of removing it. The bottom overhang surface will be quite acceptable if the filament being extruded at the overhang is at least touching (with small part of its width) the layer just below it. Tall thin structures are a problem. They will bent when hotend prints on them and the result will be curved. E.g. 15 cm pipe with 1.5 cm diameter would be problem. Bridges can be printed up to about 2 cm quite easily. Bridge is when a solid layer is printed in air, but two opposite sides of the solid layer are supported by previous layers. So the filament is hanged between the two support pillars. Thin walls must be thicker than nozzle size. Preferably by 20% at least. Commonly used nozzle sizes are from 0.3 to 0.7 mm. Most printers use 0.5 mm. If the thin wall are not horizontally curved they will bent (as tall thin structures. The thinnest printable tower has diameter of about 3 mm if it is very short. If it would be tall about 4 mm or more we would get the problem of tall thin part again. It would bent. I'm curious whether that keycap stem will be strong enough to be useful. FDM printed parts more easily break (delaminate) across layer boundaries. Makwa, let us know if you try to print it. yes the strength using single material printing would be a problem, with a support material one can rotate it 90° and increase it that way. based on it i modified and reOriented the cap a little to make it printable with your printer aswell. if it's packed at 100mic layers, it will be significantly stronger than a rough print, but you do kind of have to choose between shear and tensile strength along dimensions with FDM parts. ideally, you would print a clean positive and then mold the individual caps as most of the capmakers on the board have been doing. This is something Leslieann knows well. Thanks for the warning. yes, a huge number of the printer designs i've seen just use rods that are too small everywhere. this includes the makerbot. and then they don't spec them to high straightness tolerance or high strength material. and then rod diameter is generally difficult to change without redesigning everything, so i've had to go to exotic materials for pretty much everything in the bot. everything is either 440 or case hardened steel at this point, with straightness to < 1 mil and surface hardness at C65 or better. further, bearings obviously play a huge part in error components along the linear actuation, so i've had to go exotic on those too. everything is either extremely high precision (mostly misumi) ball bearing or rulon lined sleeves when there is more surface area and less duty cycle. a huge number of the printer designs i've seen just use rods that are too small everywhere. this includes the makerbot. And the original Rostock. It uses Φ 8 mm rods and linear bearings. I'm surprised Johann did not go for Φ 12 mm rods. Based on a local supplier here the rods would be 35% more expensive and linear bearings would be 10% more expensive. Rod error specified as at most +0μm -8μm. Bearings specified as at most +8μm -0μm. It is the same for both 8 and 12 mm versions. 12 mm versions look worth it. Especially when some people put linear guides on their Kossels which are much more expensive than rods and linear bearings. Still, I did not compute the dynamic forces. But I can do high bound estimation quickly for the Rostock here: 0.25 kg * 4 m/s² = 1 N. Seems enough to bent 0.8m long Φ 8mm rod a bit. My rough experiment with a scale indicates about 0.25 mm displacement. Not good. Looks like this may be a problem. Edit: I computed how much the rod should bend with some simplifications which should make the result worse than in reality (simple Euler-Bernoulli bending considering two half rods instead of one rod loaded in the middle). I got the result of about 0.4 0.2 mm. That is in congruence with my experimental result - the measurement "by eye" (about 0.25 mm). Since we would like better precision than 0.1 mm, then this really may be a problem. Edit2: And bending resistance depends on 4th power of radius so switching to 12mm rods from 8mm rods may be just enough (about 5 times stronger (from bending point of view)). Edit3: in italic and strikethrough. don't forget torsional forces on the delta design. Well, those should be compensated by frame. I just assumed the frame is completely rigid. I do not have enough mental commitment to do a good model. Just some "on the napkin" estimates to get an idea how significant it may be. I actually made an error while integrating, the theoretical value for maximal rod bending should have been 0.2 mm and not 0.4. I'll fix it there too. Still looks about right when compared to my "by eye" experiment. i can't believe you actually sat down and calculated to determine this. it's pretty obvious if you just look at it. a) well, it seems to print something b) what the hell? how could this possibly work? c) it must be designed to the absolute limits. I agree though about them using too small of rods and seeming to be common in the Reprap community. I've seen many different printers and almost all are too flimsy in my opinion, sometimes shockingly so. Most is likely done for cost reasons, but combined with some questionable design methods, like threaded rod and jam nuts, it makes for a bad printer. The Rostock was an exercise to even see if the idea would work. In the case of the Kossel Mini, my understanding was that Johann was trying to use a system like the Cerberus, which used bearings and rollers on the Misumi (see the first Kossel design). It worked sub par and while looking for alternatives, another person gave him the sliders, it worked well and others just started copying that. There are some other issues I have with that particular design as well, but I won't go into that here. I have to respect the guy though, we wouldn't have Deltas without him. This was all part of why I did my own. As Mkawa found, trying to re-engineer something often just creates more and more problems. I tried scaling other designs and they just didn't work well, each part change required other parts to change. I do not think that the model I used for rod bending is much good though. If I put higher forces in it then the results do not conform to experimental measurements. OK, back to the belt stretching of the delta here (classical rostock with 6mm wide T2.5 belts with steel core). It is still true to the original except the diagonal rods were changed to carbon rods with MP-Jet ball joints. So it should be about the same for other classical rostocks. The data for stepper motors were taken from internet (I'm not sure especially about stepper motor rotor moment of inertia - I did not have it for the exact type I use so I took it from something which look the same). The maximum belt stretching error is in the range of 0.21 mm to 0.55 mm. What I mean is: The real printer use will lead to some dynamic (temporary) belt stretching. And the maximum of that belt stretching is in the given range. I ignored pulley, idler and belt weight but I doubt they would change it in any significant way. Btw, the maximum usable acceleration of a carriage is about 8g. At 15g, the stepper would definitely skip steps instead of moving a carriage :-) At 8g, the side force on the smooth rod is about 15N and that can bent it about 0.8 mm. Just to get you some idea what the very worst situation can be. _everything_ causes problems, as we all know. we have all had our share of incredible frustration. now that i have a more global view of the FDM printer market, i can laugh about it (even 60 grand printers are incredibly frustrating), but my response to this is to sit down and engineer stuff. after working in research for so long, i don't really expect anything to work, ever. you cannot rely on material specs on the web for steel. if the part is using chinese steel formulations that goes doubly so. even if you have completely traceable material sourcing, the way that the part is formed and machined is just so stochastic. even the "expensive" rods i source are not aerospace or space part quality at all. and all space parts, aerospace parts and structural parts are tested per batch for compliance by the engineering firm to ensure that QC was performed and that the material will generally have the specified characteristics. we would be hard pressed to actually accurately determine young's modulus for anything we have on hand, so at some point we just have to put the parts in and see what happens. OK, back to the belt stretching of the delta here (classical rostock with 6mm wide T2.5 belts with steel core). It is still true to the original except the diagonal rods were changed to carbon rods with MP-Jet ball joints. While I haven't looked for steel core, most Rostocks and Kossels are using fiberglass core GT2 belts (not steel or T2.5). I found a chart showing stretch, but I would have to dig it up. I looked at Kevlar, but it's expensive. T2.5, especially steel would be MUCH stronger than common GT2. I don't know what G's equate into mm per second, firmware lists it a bit strange and weights vary from one printer to another, but I do know there is a LOT of people claiming some insanely high speeds on their deltas. I have even heard some recent claims of 500mm per second and I can pretty much tell you they are 100% B.S. partly for exactly what you just found. You can only yank a belt and stepper so fast before it skips, stretches, or whatever. It's pretty obvious when your printer takes a second and a half to cross a 170mm print bed that you aren't hitting 500mm per second. Even if you account for some acceleration, it shouldn't take that long. One clue many miss is when your slicer says it will take 3 minutes to print and then you start to print and now it says 9 minutes. Don't even get me started on those claiming 300mm per second on a Kossel Mini with magnetic ball joints. The ball bearings add a LOT of weight to the moving assembly, probably doubling it. I barely trusted them at 150mm per second on my Rostock. I would hate to do design for a living, not that I need worry, I would be fired for taking too long and far too many mistakes. so one of the nice things about putting your stepper on top of your extruder is that you can use much less extrusion pressure because you don't have large losses in filament flex and weird off-axes stuff going on. one HUGE downside to that is that your low pressure extruder will happily build up the most insane clogs full of degraded plastic that you can possibly imagine and just try to fight through them. of course, when you fail to push through, nothing blows up, it just air prints. however, constant air printing is a HUGE PITA. What I have written down are absolute physicaly possible maximums for my machine (if I would allow it to run in SW to the very limits) ... and I'm not sure even they are achievable with my 24V power source (but they would be achievable with 48V power source). The reason I'm not sure here is because of the static moment charts for my steppers are missing or incomplete for 24V power source. I considered only 1/3 of the maximum static torque of my steppers but may be it should have been 1/5. The point is when you actually want a high acceleration to lead to some error you must be able to sustain the acceleration long enough to actually move the carriages for a distance bigger than the error they should lead to and that means you must be able to run steppers at high enough speed with some torque still available. With high acceleration speed ramps up really quickly. The motor torque goes down with the speed because of wiring inductance. But to sustain the acceleration printer needs the torque. but the maximum acceleration would need to be set to uncommon 56000 mm/s² (most people probably use only 10000 mm/s² or 9000 mm/s², which was (and probably is) the Marlin default) or it can be somewhat smaller but then jerk must be non-zero. Most people probably use the default acceleration limit which is about 10e3 mm/s² = 10 m/s^2 ≅ 1g. But they also will probably have non-zero jerk (probably about 20 mm/s). If they would use also zero jerk (which probably nobody has set to 0 but lets assume it for a while) then that would mean that their maximum belt stretch error for T2.5 steel core belts is about 0.07 mm. 20 mm/s jerk will probably increase it only by about 0.005 mm (just an educated guess). So really, if people run at low acceleration limits of about 1g and low jerk (at most few tens mm/s) then they can assume their belt stretch just below 0.1 mm. That is if they use steel core T2.5 belts. If they use glass core GT2 belts then the maximum error is about 3 times worse (i.e. 0.3mm). The rod bend error will be around 0.1 mm. For these numbers to be valid speed limit may stay rather low at about 300 mm/s. If they use some insane high jerk (but which still does not lead to stepper motor skipping) then that may increase their maximum error by at most half step (i.e. about 0.1 mm). This all assumes their frame is rigid and no resonance happens. so kids, that's why you give your nozzles a serious acetone bath every now and again, and then _get the resin that's sitting around clogging things_ out. chances are that you're going to have moments where that's a bit too much backpressure, or you're below or above process temp and this stuff will build up over time no matter what you do. I left the head to cool down with the filament inserted. I screwed out the PEEK part (a piece of filament still sticking out of the hotend, the hotend still connected to the printer). I started to heat up the hotend (from pronterface - i.e. with the built in resistor). I started to pull it out when it was about 150°C (I use ABS). It poped out even with all the debris. 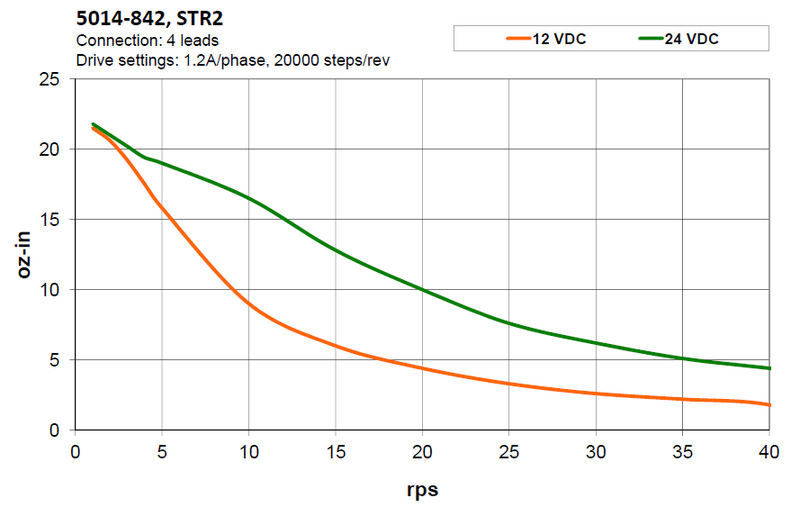 your stepper moment depends on the driver and motor, as the driver does not pass off vcc to the stepper. the driver is buck charging down to a lower voltage and high current. 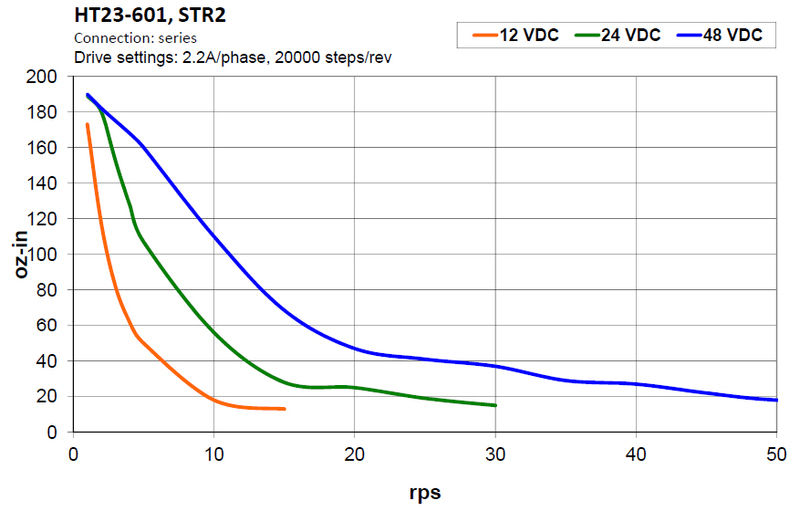 if you buy matched drivers and steppers, the driver datasheet will give you the holding torques, but the vcc voltage of the driver doesn't really matter, since it's buck charging whatever it gets down to the stepper voltage. the advantage of giving a driver higher voltage is generally that the power supply will run more efficiently, as it doesn't have to push out nearly as much current. graded plastic doesn't really hold together well. it's kind of burnt and all coked up. i actually think this cold end is just done for. i cannot for the life of me get it to pass filament without clogging every few minutes. It's pretty obvious when your printer takes a second and a half to cross a 170mm print bed that you aren't hitting 500mm per second. Even if you account for some acceleration, it shouldn't take that long. 500 mm/s is hight speed. If they use the common 1g acceleration then (even with 0 jerk) crossing 170 mm bed should take 0.34 s. That is really quick. Although 1g (10000 mm/s²) or 0.9g (9000 mm/s²) is the default acceleration in Marlin. It is rather high. E.g. it takes only 12.5 mm (and 0.05 s) to get to 500 mm/s with 1g. If they use non-zero jerk then it should be even quicker. Notice that if I lower the acceleration to only 0.5g (almost everybody has it at this or higher value) then the time to cross the bed increases only to 0.44 s. Still significantly less than a second. If they cross 0.17m bed in 1.5 s then that would mean that their acceleration is limited to 0.03g (300 mm/s²) and the maximum speed they would reach while trying to cross it would be only 225 mm/s (far from 500 mm/s). Assuming 0 jerk. I doubt anybody uses so low acceleration. They probably do not really know what speed they are actually running. I'm very satisfied with my ball joints. No way I would switch them for magnetic joints (especially after what you reported about them). One ball joint weights only 5g (even with the associated screw/nut to platform/carriage and the screw to the carbon rod). One finished rod with two ball joints and the nuts to connect them to platform/carriages weights only 15 g. It is stiff, strong and does not have any play I can notice. No way I could achieve this with magnetic joints. OK, I'm not that good with stepper drivers. Do at least some of them even multiply voltage internally to ramp up current quickly? Because if they do not, then it takes some time to raise the current (because of stepper winding inductance). And if this time is significant part of the whole time the coil is driven (which is shorter with higher rotor speeds) then it lowers the available torque. I believe I needed to raise the driving voltage to achieve bigger extruder stepper speeds because my stepper drivers cannot multiply voltage internally to speed up the current rise in a motor coil. The result is (with my stepper drivers) I need higher driving voltage to achieve higher speeds. start at page 8. the basic idea is torque is _only_ a function of stator topology and current. you're better off buck charging, even from a 0 step frequency. buck charging using BJTs or IGBTs is basically a V/I operation, so a higher voltage will be more efficient, especially, as you said, when the stators are starting from 0 spm and there's no inertia to lower coil resistance. you see repeatedly that higher voltages give you better low frequency behavior, when the resistance of the windings is high, but that as rotational velocity increases, you're just kind of freewheeling and it doesn't really matter how much voltage you give the driver. if the STM document doesn't have any schematics, it's easier to just visualize it. a stepper motor, like pretty much any other rotary motor, is just a bunch of coils that you need to energize in some sequence in order to move a magnet. so you put a bunch of BJTs in front of the coils and you switch them according to the sequence you need to fire. these BJTs are going to have to split either current or voltage, and your goal is lots of current, so you have them split voltage. that's pretty much it. there are a lot of tricks to minimize noise and weird resonances, but that's the basic idea. mkawa, thanks for references. It does not contradict what I know about it. The only misunderstanding may be that what you consider "low frequency" I consider to be "high speed". In that region torque depends quite a bit on the driving voltage. Based on the speed-torque chart of my motors* it is just the region where Rostock is when it runs at speeds of 200 - 400 mm/s. Which are common high speeds for Rostock ... hence my reference to it as a "high speed" region. * They are with different stepper drivers but they look like a H-bridge with chopping drive plus some more high level features added to it (like internal memory, ascii control protocol, and boring stuff like that). The only way to avoid this initial torque drop off would be to use some kind of internal voltage multiplier and some form of bilevel (or better multilevel) current driving. I do not know about any driver doing this. Interesting that the rps - torque charts you provided are levelling so well after the initial drop. 20000 steps/rev also looks like some kind of a geared stepper or they use word "step" but mean "microstep". OK, based on google search, HTR23-601 motor has 1.8° step angle. So they must mean microstep but use word "step". as far as avoiding the initial torque drop, afaic, change the motor, not the driver. lower impedance windings are really key. this is one reason why servos are much preferred to steppers whenever possible. in motion control, without a LOT of smarts on the control side, it's almost impossible to use servos, but that's the ideal. Well, it looks like DOMO cannot accept a Cherry MX switch into that nice middle hole. If so what it is good for? 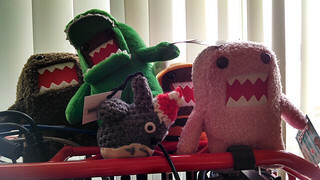 On the other side, DOMO has a decisive advantage. It can be printed now. My part is far from ready to be loaded to a slicer. A friend did print my Ergodox case using SLS 3D printing with white polyamide powder. The case is really nice. The only point is the granularity/porosity of the surface which will make it get dirty quite quickly and impossible to clean up. I got told to spray the case with Sikkens Spotprimer then spray with any color I want. I would like to avoid exchanging elbow RSI with some finger skin allergy due to the "any color I want" I would have sprayed on my everyday keyboard. Any suggestion about which color or kind/type of color I should select for that usage ? for a porous surface i'd start with a layer of white artist's gesso. it's a very white acrylic primer that can be bought from any art store for almost nothing and loves porous surfaces. just brush it on. once the gesso is on, you can go crazy with any kind of paint you want. seal with a layer of acrylic clearcoat. i use a golden glossy UVLS clearcoat (uv protection layer) because it's water based and yet very hydrophobic once it dries. it is also made to allow even oil paints to dry underneath it. however, once it's on, it's on. you can't paint over this clearcoat. the domo keychains can in fact accept MX keyswitches in their mouths. I want to 3d print custom keyboards, like the ergodox but with curved keywells. I'm aware that building a 3d printer takes a lot of work, that's OK, I like building stuff and have some experience with other kinds of DIY projects. What kind of kit would you recommend? I'm currently looking at various prusa i3 models, e.g. the i3v, i3xl or the omega. What kind of material would you recommend for my purpose? the prusa i3 has an 8x8" bed, which isn't really large enough for vvp's design. at this pointl, for a plug and play solution, i would actually recommend one of the flashforge makerbot clones. i've seen them in action and they're a pretty darn good value. the price on the basic unit recently dropped to a thousand dollars even, and unless most prusa kits it comes fully assembled and ready to print. Yes, the 8x8" bed on the standard i3 is why I was looking at the derivative models. What size do you think is needed? The flashforge models do look pretty good, but the ones I can find seem to be a smaller print size? Having a ready-to-go solution is tempting, but on the other hand I do like to build stuff, and the reprap concept is very nice. I guess the flashforge is less customizable? Page created in 0.173 seconds with 77 queries.